Finding a little breathing room while looking out into the Pacific ocean. Breathing in space and breathing out stuff. Yashica A TLR and Kodak Tmax 100 iso film. Nice capture, Mike. 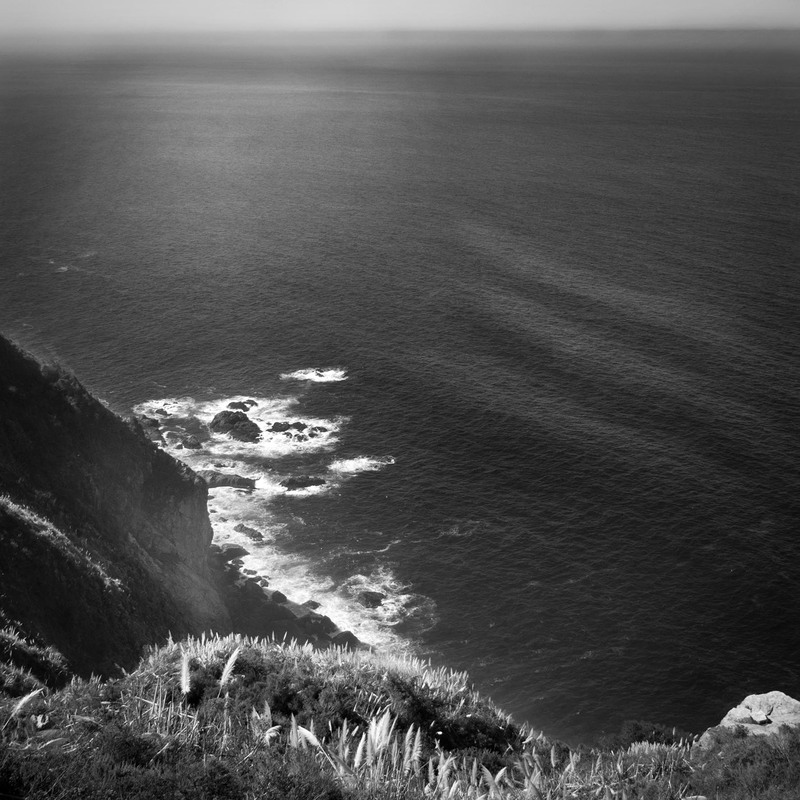 I’m heading out to Big Sur in a couple weeks – looking forward to the beauty and expanse. Hope you have a wonderful trip. It is a fun place and so much fun to enjoy the ocean as well as the big trees nearby. Thanks and we hope your having a great week. Yes a simple little exercise but so soothing. For me it is always nice to visit the ocean for that simple reason. So much space out there…undisturbed space.